Research has shown that retrieval activities, that is, actively recalling previously studied information, may substantially contribute to learning from complex educational materials, sometimes more so than other more popular techniques such as rereading and elaborative study. In this context, recent studies (Blunt and Karpicke, J Educ Psychol 106:849–858, 2014) have reported that two different retrieval formats (free recall by writing down as many ideas as possible and creating a concept map in the absence of texts) are equally effective as learning tools. Given the benefits frequently attributed to concept mapping and the potential practical implications of this finding, we aimed to further examine the relative effectiveness of both retrieval-based activities. In Experiment 1, we conceptually replicated the main finding from Blunt and Karpicke’s study to show that the two formats may lead to similar learning outcomes. In Experiment 2, we coupled both retrieval formats but manipulated the order in which the activities were performed. 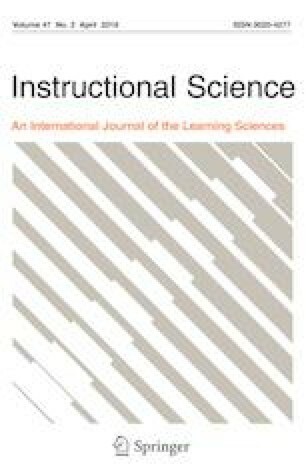 Results revealed that retrieval-based concept mapping before free recall by means of paragraph writing resulted in better learning on a 2-week delayed test than performing the same activities the other way round. These findings contradict the general idea that it is retrieval itself, regardless of the activity it is embedded in, what promotes learning. From a more applied standpoint, our results join others from recent studies to show that combining different retrieval activities when dealing with educational materials might be particularly effective. The online version of this article ( https://doi.org/10.1007/s11251-018-9476-y) contains supplementary material, which is available to authorized users. The current study was completed thanks to financial support by a grant from the Spanish Ministerio de Economía y Competitividad to Carlos J. Gómez-Ariza (PSI2015-65502-C2-2-P). Novak, J. D., & Cañas, A. J. (2006). The theory underlying concept maps and how to construct them. Technical Report IHMC Cmap Tools. Florida Institute for Human and Machine Cognition. Retrieved February 18, from http://cmap.ihmc.us/Publications/ResearchPapers/TheoryUnderlyingConceptMaps.pdf.